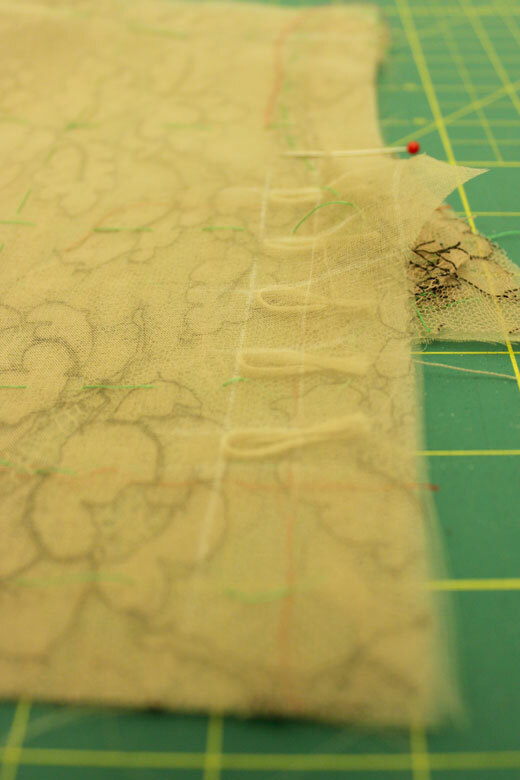 While I didn't document every stage in the game, the process below identifies some key steps in the construction of my mom's couture piece. 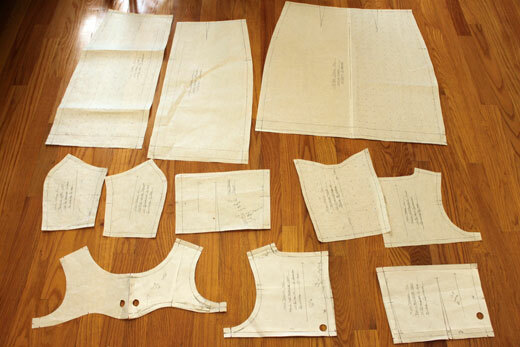 Not pictured are the very important earlier steps, which include scouring for inspiration, sketching and refining concepts, sourcing fine fabrics and trims, and creating and modifying the pattern after multiple muslin prototype fittings. 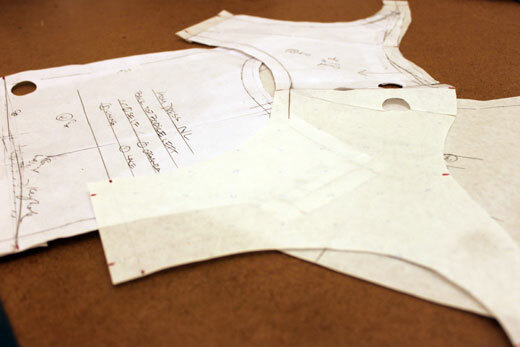 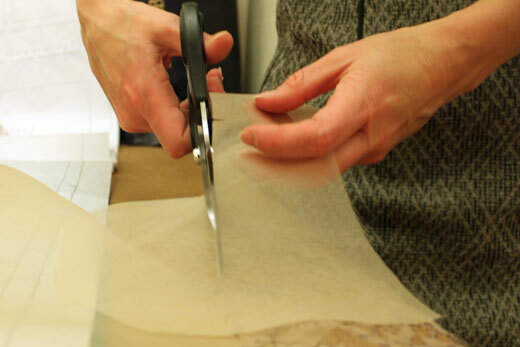 Once the general fit and style lines are more or less finalized, the pattern (which is sometimes the actual muslin garment marked and taken apart, other times transferred to or initiated from paper) is ready for cutting. 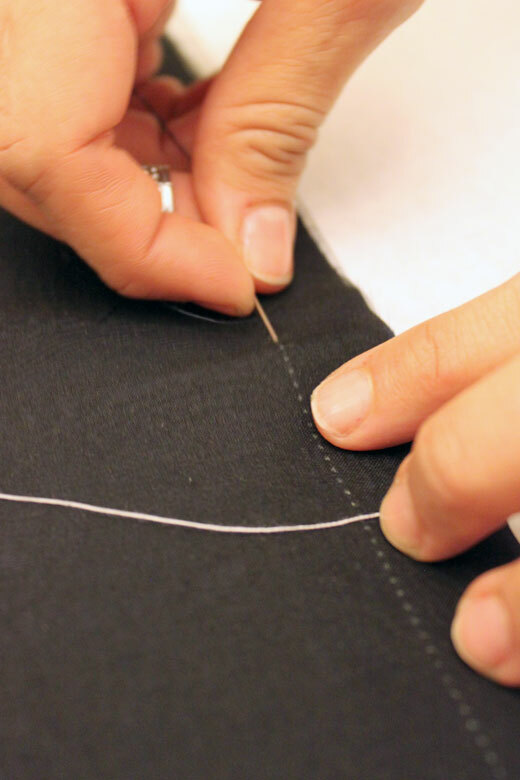 Extra seam allowance is always used in couture garments to accommodate for variations in actual fabric vs. muslin, minor body changes in the wearer (some women feel the pressure to slim down for their special day, what can I say), and to allow for clean, secure turned-back garment finishing. 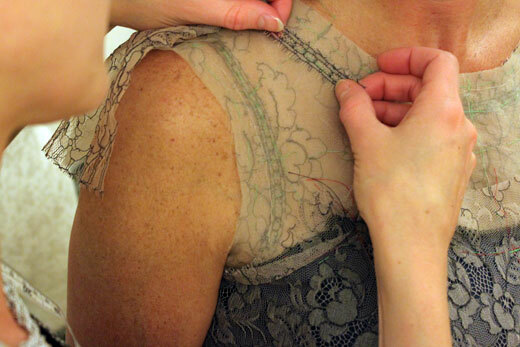 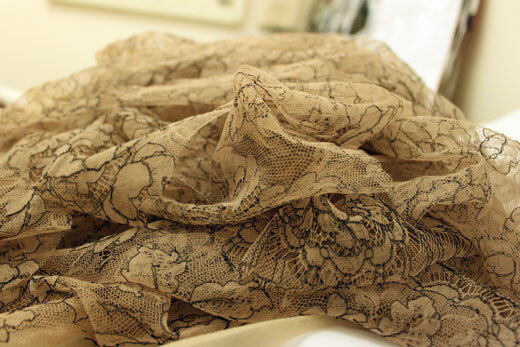 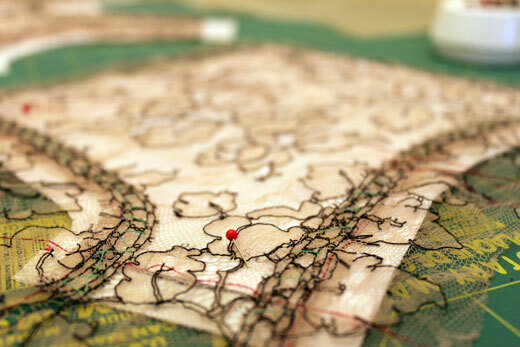 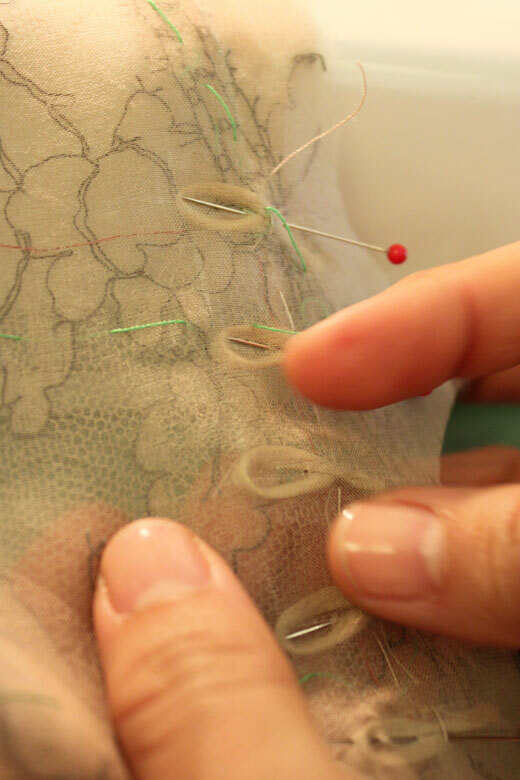 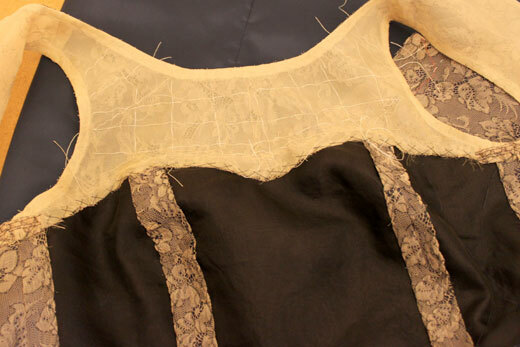 A couture garment consists of many layers of fabric to provide support to delicate outer layers like lace, underlinings for marking sewing lines and securing stitches invisibly, and built-in structure (often containing boning, horsehair, or other supportive materials) to maintain the shape of the garment and comfort of the wearer. 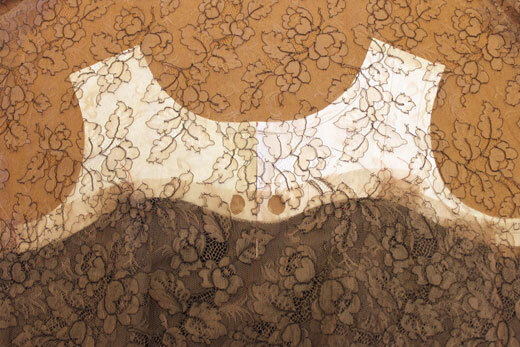 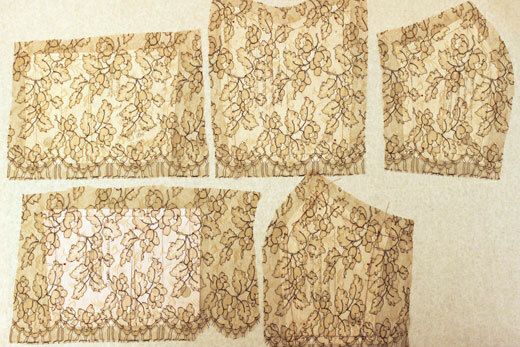 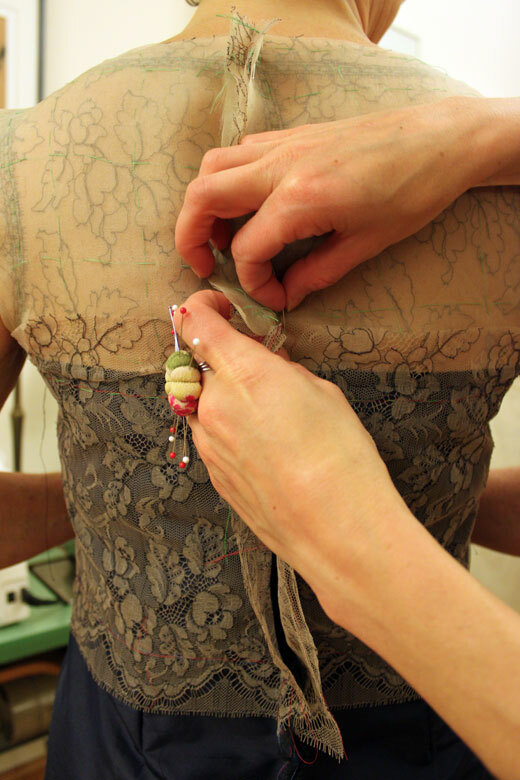 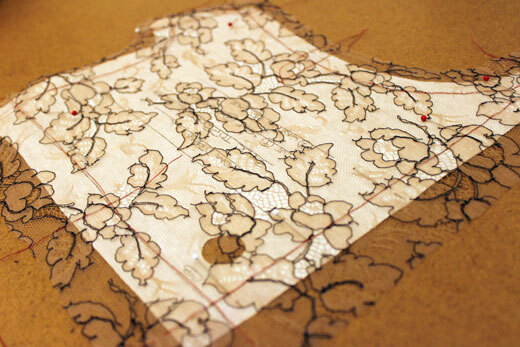 Once the main bodice pieces were basted together, we positioned the top bodice piece to match the lace pattern top to bottom as well as left to right. 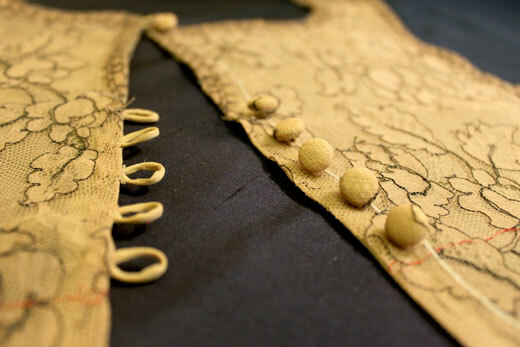 The garment is the sum of many parts, and is hand-basted together for a fitting, and then taken apart again after to continue the construction process. 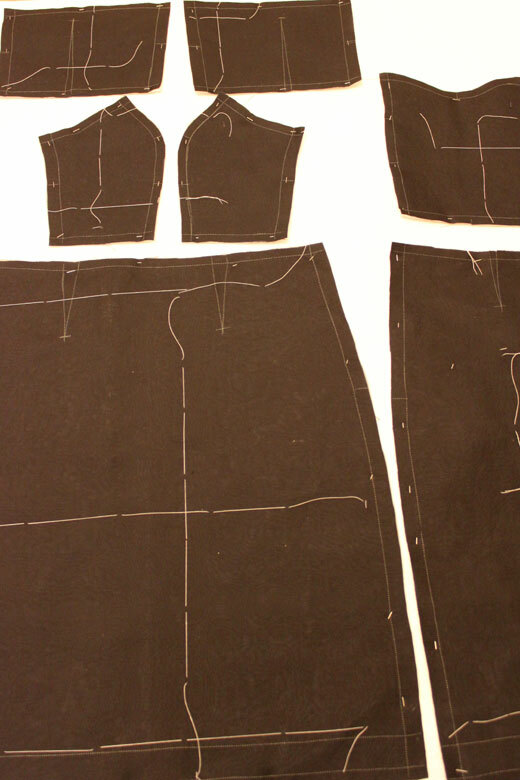 The upper bodice was hand-basted to the lower bodice for the fitting, and is still inside-out because once the seam allowance is trimmed and flipped, there is no going back! 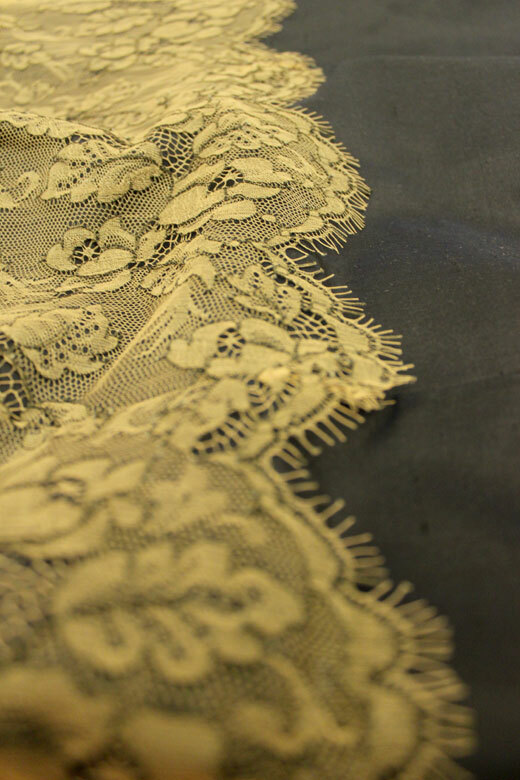 While the beautiful scallop edge of the lace was positioned at the waistline, the other, easily-neglected finished edge of the lace provided a gorgeous detail to line the neckline, armhole, and back keyhole edge. 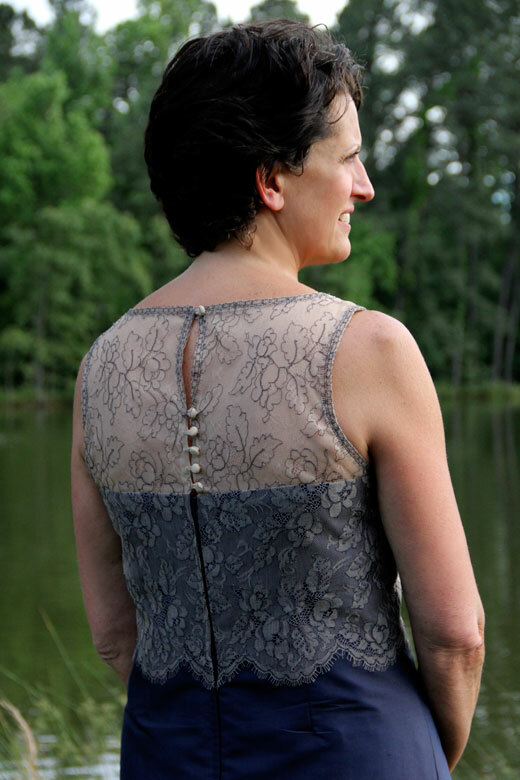 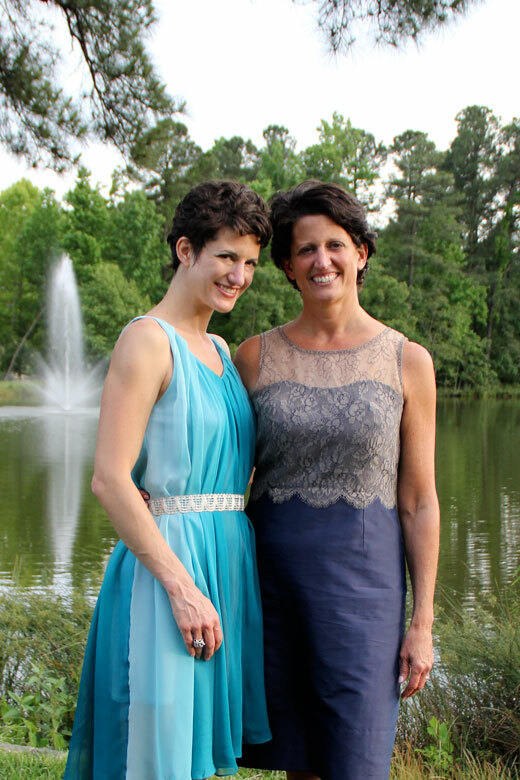 The upper bodice is unattached from the rest of the dress to insert hand-made button loops, cleanly sandwiched into a seam at the center-back seam. 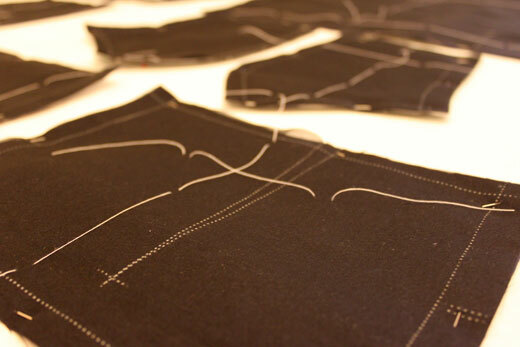 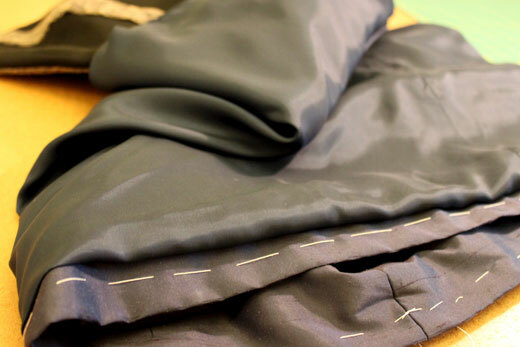 Hand-sewing the inside seam allowance. 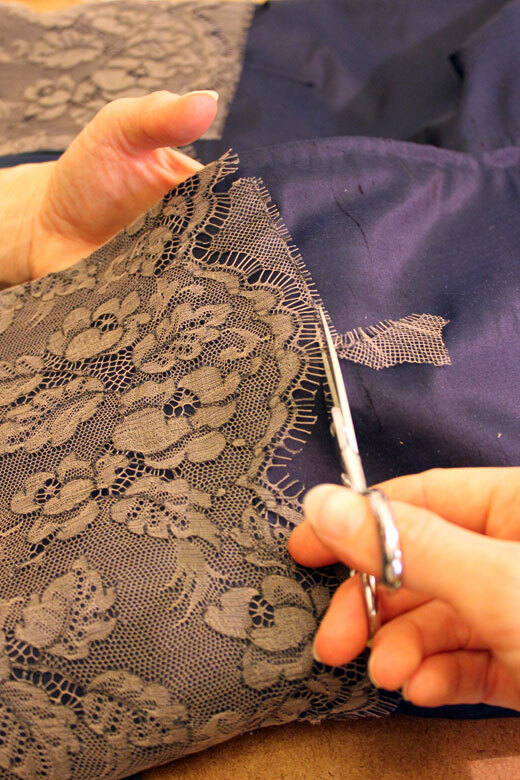 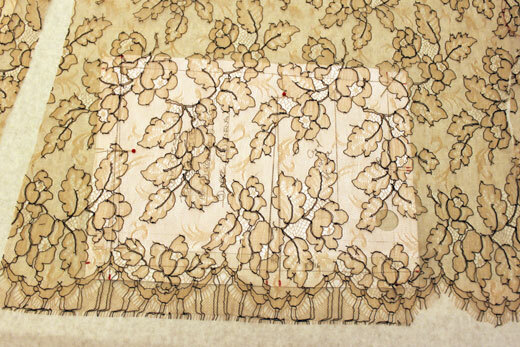 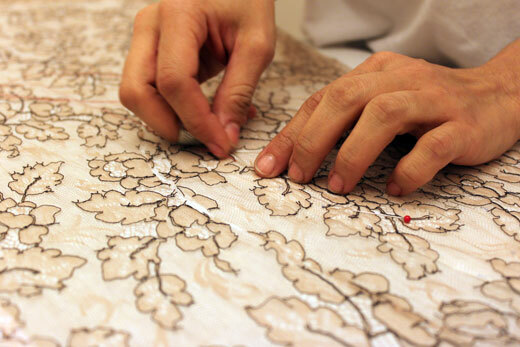 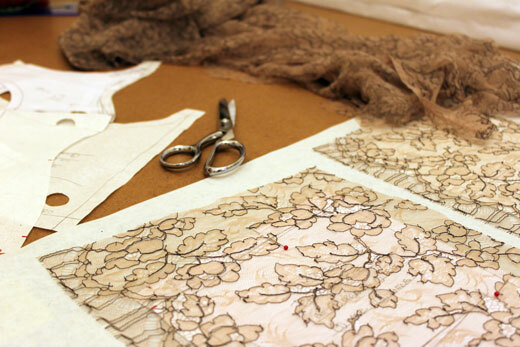 In haute couture, the inside must be as beautifully finished as the outside of the garment. 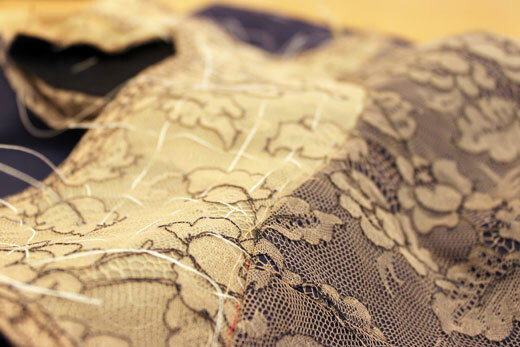 Basted hem to secure the lining "jump"